You want to look great this Christmas! You want your family dressed to their best too but, inexpensively at the same time! How can you achieve that despite bills and other household expenses you need to balance? There’s a few things you need to keep in mind before you go shopping for your family’s wear this Christmas without breaking the bank. First and foremost, it’s Christmas and there’s a cold weather out there. So, plan on buying clothes for everyday home use that will keep you and your family warm. Second, there may be formal gatherings where you and your family may be invited to. That means buying formal Christmas clothes should be on your list, too. The third thing you need to remember is that this Christmas, you want to look your best at all times. Buying inexpensive casual clothes for use whenever you need to get out of the house is necessary, not only because you want to look great but because you want to keep warm and safe, especially if you have kids in the family. Your choice of clothes for your kids will depend on their age and whether they’re boys or girls. For younger children (toddlers), you may want to dress them up in holiday-themed outfits. 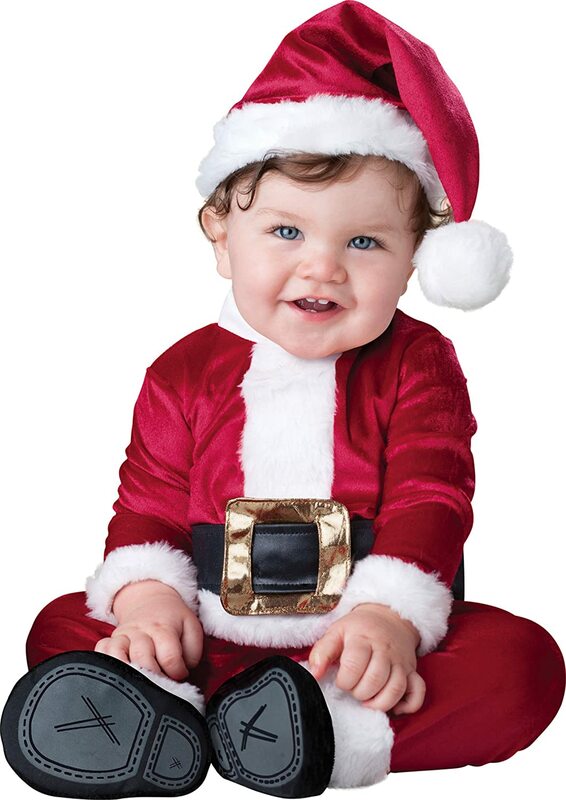 Most parents love dressing up their babies in Santa outfits or Christmas-colored suits. You do not need to buy new clothes for your toddlers, though. If there are older children in the family, they would most probably have hand-me-downs that you could tailor to fit your baby. This will save you a little bit more cash this season. For older kids, inexpensive cottony, warm suits and coats will suffice. Don’t go buying bulks as Christmas and the New Year season will not stick around and your children may not even wear every dress or suit you bought. If you’ve been reading magazines and some fashion and style blogs for some time, you may have noticed there’s really not too much variation to men’s wear compared to women’s wear. Men’s wear is a combination of any of the following: suit, tie, shorts, long pants, belt, shoes, shirts, sweatshirts, and accessories. This Christmas, you can dress your man up to a warm and stylish coat and tie appropriate for the occasion. Pair these with slacks or jeans and shoes that will match the coat and tie style. In casual days, a simple tee topped with a sweatshirt will look great. You can mix and match whatever is in your man’s closet and probably buy one or two new pairs as gifts. Women, I might say, can be more meticulous. We are known for being shopaholics. But if we are under a budget, we easily find ways to adjust to whatever we have in our wardrobes. So, I think Christmas is the best time to practice your mix and match skills on yourself and on your family. You have that dress you haven’t worn for a long time? Maybe there’s room to sew in some accessories to make it look more glamorous. Work out your creativity this season and dress up your family even on a budget. Do you have any suggestions for keeping the spending low this holiday season? Leave a comment below!